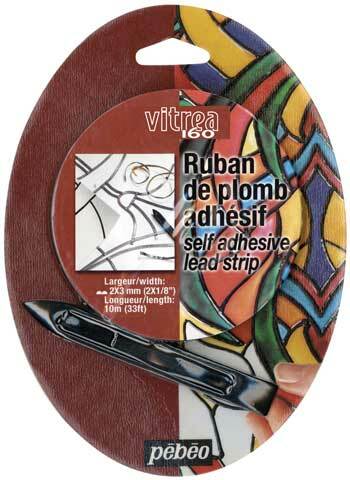 This 1/8" (33mm) wide self-adhesive lead strip can be used on smooth, clean glass and plastic. It is excellent for creating stained glass art effects. In 10 ft. rolls.